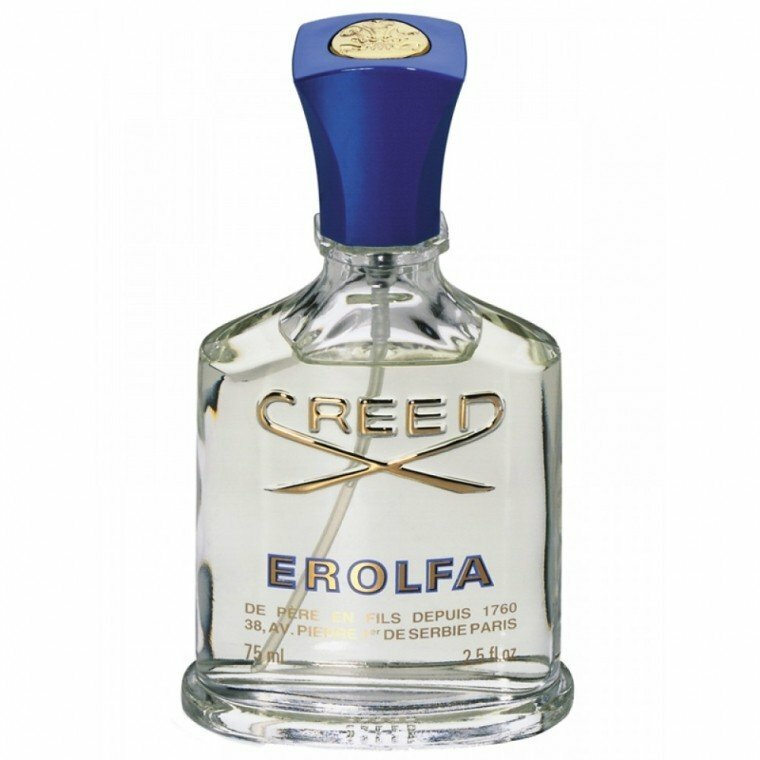 Erolfa is a perfume by Creed for men and was released in 1992. The scent is fresh-aquatic. It is still in production. Now you could say, scents that you have to learn to like first are not the right scents for you. But with Erolfa I am glad that I have worn it again and again. When I sprayed it on for the first time, I found it unpleasantly algal-stinking and so not comparable to Millesime Imperial. I sprayed Erolfa over months every now and then and it got better from time to time. It was the same with the beginning of my interest in Scottish whisky (without "e", because then it would be American or Irish :-) I also learned that). At the beginning I only tasted the simple, sweet, rather less complex drops. In the course of time, I have also tasted more and more the smoky, peaty whiskies that deter many people! They worked their way up somehow. That's how I feel with perfume, too, because Erolfa is not flat and not one-dimensional, if you get involved with it, you get a complexity and beauty that I rarely smelled before. I can absolutely understand the rating of 6.8. I would have rated him even worse after the first smell. But if you don't spray it only once on a test strip or on your wrist and slowly fantasize about the scent (several times), then it comes to the smell revelation! Please do not let the first and slightly smelly algae aroma deter you, the scent needs time and will. 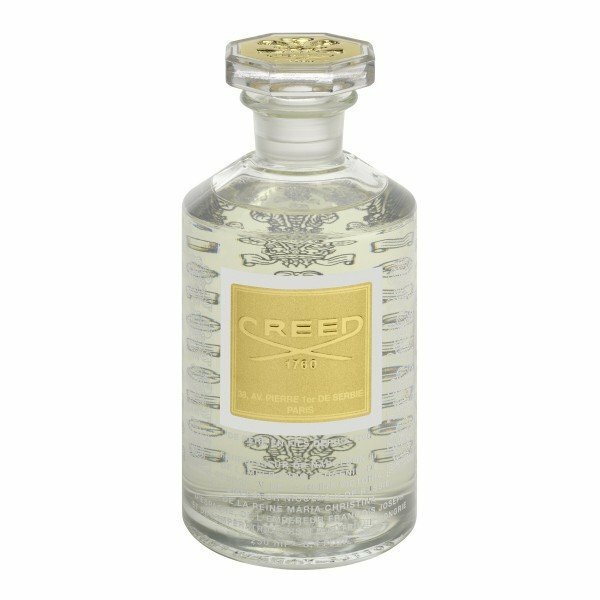 This Creed scents reminds me of the ocean and gives me a yachting vibe. Silage is not perfectly strong but it is good not 2 weak. i'm not surprised that the new Creed edition of the classic, named after ER-win, OL-ivier, FA-bienne, which sank with the Titanic a good 100 years ago, is so badly off here. Smells like Millesime Imperial with Green Irish Tweed in the mix. It has the bitter-citric of the former, but also the green cool-water-like note of the latter. Creed DNA is unmistakably present. David Beckham is one of the known (unpaid) wearers of this fragrance. Why I'm not surprised that he doesn't even get a 7ener rating here, although I chose him for me from over 2000 tested scents to be part of my very compact and very carefully selected collection... is simple: Most perfumes (hope no one feels attacked) and I don't take myself outside, are wrist and/or paper strip sniffers. 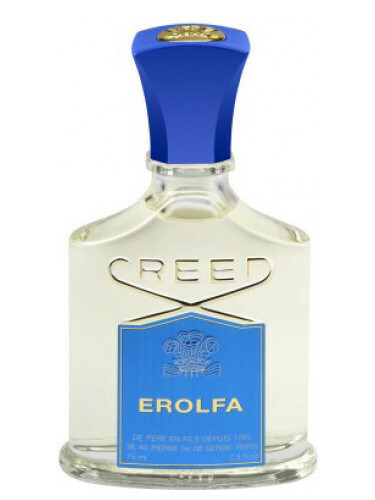 If you smell Erolfa directly on the skin, or on paper with your nose directly above it, it is indeed like the two Creed fragrances already mentioned above plus great granny's perfume on top. On the other hand, a Dior Homme directly smelled a dream of perfumery perfection (if you like this iris note). Dior Homme is a very inappropriate comparison to Erolfa now certainly some will justifiably throw in. Right, the two have almost nothing to do with each other, but that is what I would like to point out now... Dior Homme is on paper for me a 10 and Erolfa a 6.5, but in the Sillage, respectively the draught you get when someone passes you, Dior Homme gets only a 6.5 from me (because hardly iris and too vanilla) and Erolfa in this criterion the smooth 10. I think that this Creed, if you judge purely by what people smell in the immediate vicinity 0.5m-3m, is one of the most underestimated scents at all. Let a person near you wear him a day and judge him by what comes over the air and you see him with new eyes. The durability is excellent and I think it belongs to the "second or third look of the hammer scents". ... in honor of his family..
... you might say. At least the name comes from it, which was newly created in the years. Erolfa for Erwin, Ol for Olivia and Fa for Fabienne, his wife. Both children should probably also be employed in the company. The scent was already around 1900, in the cabins of the first class on board the Titanic, they stood as a present of gesture - nostalgic. Erolfa and the Titanic are symbolically connected with the "blue ribbon". How he smelled at that time, one can only guess, because he was reworked several times. Erolfa starts citric (lime in the foreground) and peppery, a slightly salty sea note is added and one literally tastes the maritime air. It bump - yes, you read correctly, algae, and sea bills added but not as "ihhh- factor!". Over time, these components develop in a more balanced way. There might be some vervain in it, too. It results in a fresh, herbaceous possibly also slightly sour whole. The day at sea can start. There's nothing musk, amber, etc. to be found here. Durability and Sillage are not the hit here but not so bad now. Honestly, I don't quite understand this bad rating for Erolfa. It is not the most original fragrance from the house creed, but among the aquatics with the best on the market. The start is minimal tropical with a good algal sea chord. This gives the impression of shower gel, but a really good shower gel. The whole thing stays the same because what you spray on it at the beginning is also what you have at the end. I think it's absolutely okay if a perfume only gives the impression of being well-groomed and smells accordingly. The problem with this is only the price and the added bad H+S. I must also agree with Leimbacher that Erolfa is the father or grandfather of the rather young looking Millesime Imperial, which I like better on the whole. A beautiful fragrance from Creed. It evokes the scent of the Creed family holiday in the Mediterranean. Much like a few others in this house, this one is related to a personal story. What I get from this is a very breezy, well composed fresh summer citrus with some interesting facets. It is not an aquatic per se, but it does have a "fresh" vibe which is coming from the melon I think. A great citrus top which lasts well into the base, a slightly salty fresh vibe and resting on an ambergris base. There is a lot to like here. I guess when it comes to originality, there are a few fragrances which have a similar "summer" vibe. For me I do like this for what it does. I would recommend it to try. A really nice fragrance for sure. Creed fragrances are problematic to me since very often, they are not easily accessible. Most of what this brand has released so far is boring to me at first sight: too much understatement, eternal recurrence and no experiments. Whoever is looking for new and spectacular fragrances will easily be disappointed. The 1992 release Erolfa could very well be handled under these premises. Nevertheless I think there are some aspects worth mentioning that will make this fragrance attractive for a small group of perfume enthusiasts. When Erolfa was launched it turned out to be among the first wave of aquatic fragrances that rolled down to us in the early nineties. Its foam left traces in the common fragrance memory. Far away from some of the later aquatics with rather synthetic appeal Erolfa includes a complexness of nuances that was still typical for early nineties fragrances. Here, a marine impression is formed out of a potpourri of citric, herbal, spicy and flowery notes – it is the blend that does the trick! Typical aquatic potions like calone and others seem not to play the most important part in it. With this style, I see a certain resemblance to other earlier aquatics such as the well known Quasar by Jesus del Pozo or the long ago discontinued Trussardi Action Uomo. In this environment Erolfa would take the place of the more refined fragrance. And this is exactly the point where Erolfa becomes interesting. Mostly, aquatics are anything but dapper old-fashioned gentlemen's colognes. Bottle design and advertising rather transport freshness and sportiness. They generally fit in better with jeans and T-shirt rather than suit and tie. As a typical Creed fragrance, Erolfa gets quite out of this line. It was a remarkable merit of the perfumer to compose an aquatic fragrance in a way that it would fit in with the image of such a conservative brand. The highest complexness of Erolfa is presented in the top notes. Citruses, flowery notes and spiciness are embedded into a boozy but lean and sharp environment. It is just the sharpness that one would connect to inexpensive Pre-Shaves. So, the first impression ties in with classic gents' cosmetics, and the label "Barbershop style" may be at least justifiable. In its heart notes Erolfa gains its inner tension especially from lean and blond spices: coriander and a peppery note. Personally, I do not like dry coriander spiciness very often but here it is perfectly integrated into the fragrance. It is the proverbial salt in the soup. Towards the base notes there may be a short period of soapiness which provides some volume to this overall lean fragrance. Spiciness and aquatic freshness keep up for a while, down into the slightly dry and woody base. In that base however, nothing exceptional can be found. The prices of the Creed perfumes are those of ambitious niche perfumery – and so one has to swallow a bitter pill if the expensive cologne more or less resembles some of the mass market scent experiences. This is the case especially with Erolfa's base note. Something like it can be found elsewhere as well – and for a much lesser price. Also, the base note is already fully reached after 3 hours. One has to accept a lot of Creed's understatement here. As an elegant aquatic for those who wear suit and tie, Erolfa is partly recommendable. Personally I expect from a high priced perfume that it is not descending to mass marked quality after 2 or 3 hours. But since only a few colognes cross the bridge between an aquatic and an elegant stlyle, or between classiness and modernism, a closer look at Erolfa may be justified. Make sure you have time for a rather thoroughly test, maybe it fits! Please see below. I'm trying to learn how to write reviews of perfumes I find bad. I don't know the Creed line very well. I've been sampling them fairly randomly lately. Scorecard: Really like Irisia (bought it.) Had to try Love in White after having read Luca Turin's review. (More to follow.) Original Vetiver, Himalaya and now Erolfa. These three are all of a piece for me. They're quite similar in overall shape and could easliy have been three submissions to the same client brief requesting a fresh men's scent of the broad mid 90s - mid 2000s style. You know, easily recognizable as a fresh, fruity, 'ozonic' masculine (ie. generic) but with its own name and a narrative/description/fantasy that gives the appearance of comparative distinction (ie. mine's better than yours.) Here is the disjointed dance of the contempo-masculine. A blanket, clannish similarity balanced with the appearance (but not the fact) of distinctiveness. So, Erolfa. Melony, buzzy. Aquatic and ozonic (two words that, so far as I can tell, have no intrinsic meaning in fragrance, but have gained descriptive value through repitition.) Not much different, therefore not much better or worse than many others of its time. There. I've offended the Creed fans. Now, to Luca Turin. Erolfa could just as easily have been a response to the client brief that gave us Beyond Paradise for Men. They are remarkably similar, varying in exactly the contempo-masculine manner described above. To Creed's credit, Erolfa came only four years after its step-uncle Cool Water, but twelve before BP for Men. Ok-ish marine scent, not bad at all, but too expensive for what you get.